So you made a batch of Anzac biscuits, and as delicious as they are you still have a couple left over and don’t know what to do with them. What to do? 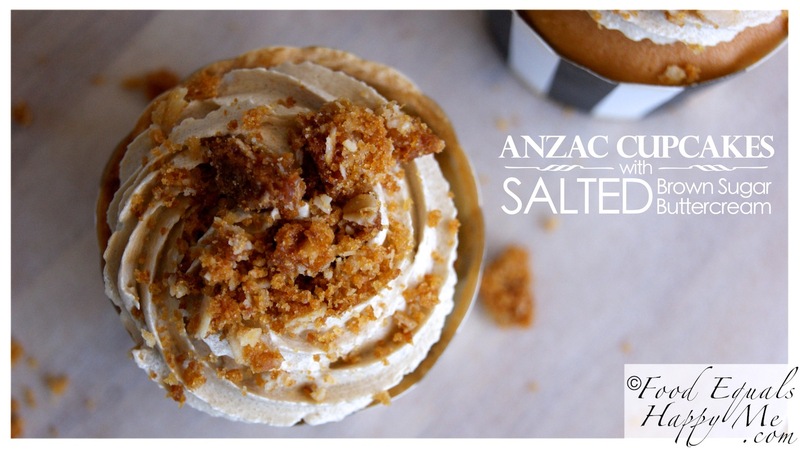 How about making a batch of these delicious Anzac cupcakes. 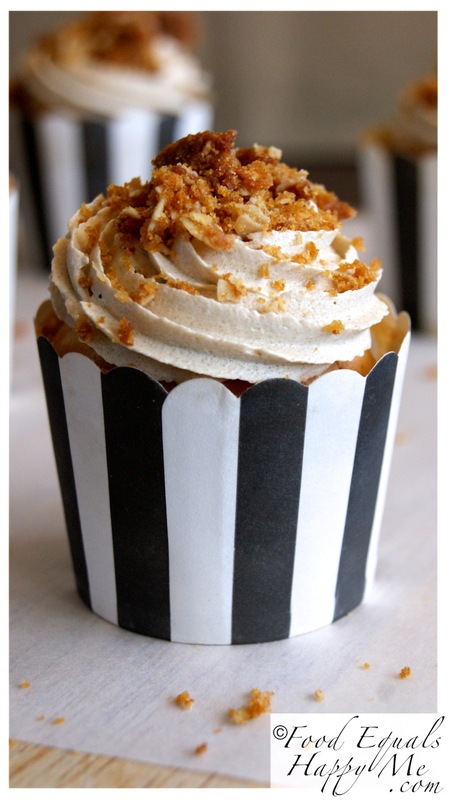 Classic vanilla cupcakes with a salted brown sugar buttercream and crushed up Anzac biscuits on top – delish! Preheat oven to 180 degrees celcius. Place all the cupcake ingredients in the bowl of an electric mixer and beat for 4 mins or until smooth and creamy. Spoon into 12 patty cases and cook for 18-20 mins or until cooked when tested with a skewer. Cool on a wire rack before icing. To make the buttercream, place the butter in the bowl of an electric mixer and beat until pale and creamy, about 4mins. Add the brown sugar and beat for another 5mins. Next add the icing sugar and beat for a further 10mins. Add the golden syrup and salt and beat for another minute or until all incorporated. I like a good balance between the salt and sweet, however if you are unsure about the salt then just add a pinch at a time until it gets to the flavour level that you like. 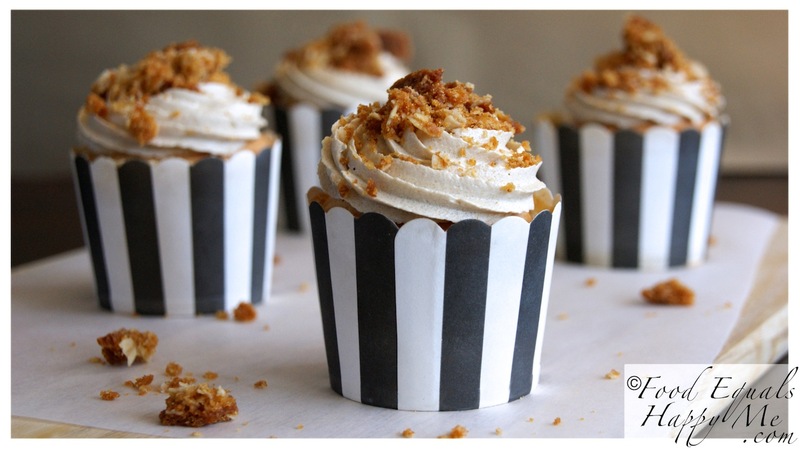 Pipe the buttercream onto the cooled cupcakes and add a generous sprinkle of the the crushed up Anzac biscuits on top. This looks great! We also have left over Anzac biscuits, and I crushed some for a crumble topping tonight. These look amazing! I’m so jealous of your cupcake forms, they’re adorable! I’ve never heard of Anzac biscuits before, but they sure look delicious there on top! i love anzac cookies! 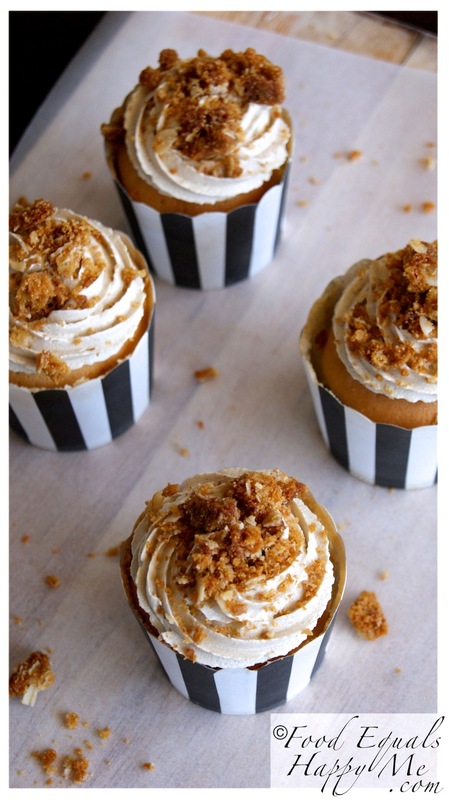 Adding them to cupcakes is a great idea. Love this brown sugar buttercream too! These look so good!! I’m in love with the sound of salted brown sugar buttercream! These look simply delish! The cupcake foils add a great twist to the pictures!